Despite being something of a disappointment early in its career, some 9,000 Model 18 were built from 1937 to 1969. It has now become a classic aircraft, although some are still flying commercially. 1. 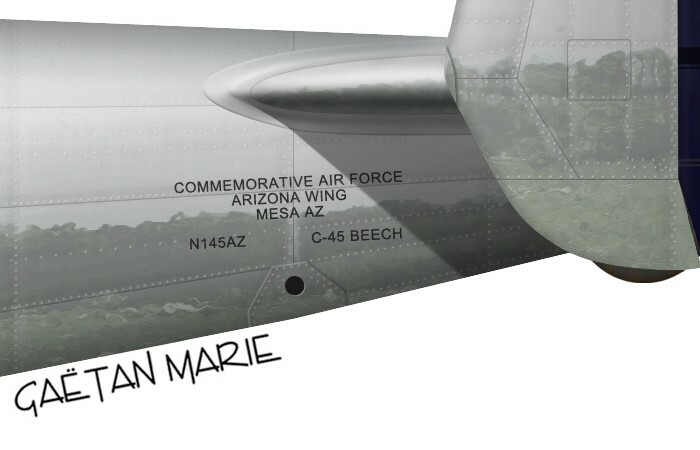 Bearing the colours of the USAAC early in the war, this Beech D18S is flown by the Arizona Wing of the Commemorative Air Force. 2. The RAF was another user of the C-45 “Expeditor”.This aircraft with British colours is flown by the Dixie Wing of the Commemorative Air Force. 3. The New Zealand Wing of the Commemorative Air Force is yet another CAF unit to operate a Twin Beech: a Model D18S, registered ZK-TEX. 4. France began receiving C-45 Expeditors in 1944. This aircraft, s/n 44-47201, was a C-45F from the first lot.